You may need to create notes against an order if you are waiting on an item to arrive or other information needs to be logged against the order. 2. Find the Order you want to add a note against. 3. Select the dropdown next to the order labeled Actions. 4. Select Add Notes from the dropdown. 5. A notes box will then open on the screen to allow you to add notes. 6. 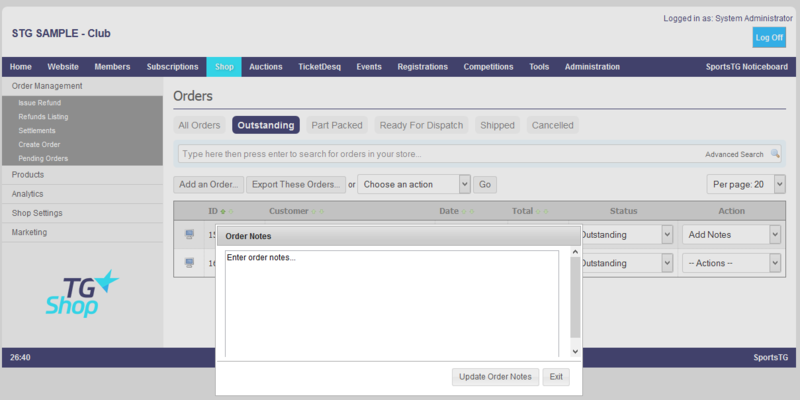 Once completed, click on Update Order Notes to add the note to the order. Note: Once an Order has a note against it, the option in the Actions dropdown will display at Edit Notes allowing the information against the order to be updated.